I have an application that creates files in the PDF format out of Enhanced Metafiles (EMF) with the help of PDF Creator Pilot. I am engaged in the development of a virtual printer that could print files in the PDF format and I am going to deliver this software product to my customers. What I need to do is convert a barcode image to a PDF file and put this barcode on a label. The component we are using at the moment always adds 1/4-inch margins to every label so we cannot print the image on a small sheet. I have been searching for software that can convert C# code to a plain PDF file. There is no need for any special formatting in the reports, it is just data in a dataset with some simple formatting that we need in a PDF file. The program has to simply go through the dataset and save the data to the PDF object. I have a need for a multi-layer PDF file. The application should use a map in the JPEG format to create a page and then place about a dozen layers consisting of various GIF files over the main image. All those images are created in a Visual Basic program that uses data from CSV files. Is it possible for PDF Creator Pilot to create PDF files with multiple layers? I have a PDF file with a number of pages. I need a brief audio description for it on the first page. You may put a sound annotation (WAVE, AU, AIFF or AIFF-C file) by calling the AddSoundAnnotation method or its Unicode version AddUnicodeSoundAnnotation. What I want to add there is a playback start/stop button for playing the audio file. Clicking the annotation icon (in Adobe Acrobat or another viewer) will start it playing. My company gave me the task to create a program that would be used by architects. They need to open a PDF file or an image with a floor plan and draw rectangles on it (plan the rooms). Based on that, some calculations need to be done. Can you tell me if the PDF Creator Pilot library will solve my problem? Yes, PDF Creator Pilot allows you to draw lines, rectangles, and other simple graphics primitives. See our samples. Also, you can write text to PDF documents using our PDF library. Please see the full list of methods for drawing graphics and text. We create letters that contain a graphical image. Can the image be cached in the PDF? At the moment we have to get our invoices as Microsoft Snapshot files from our VBA program, but we want our invoices to be generated as PDF files. Can your software do that? I have a PDF file with a form on it the fields of which I need to fill out with the help of VB6 (after I open this form with VB6). Is there any way I can use your library for that? Could you provide me with an example? ControlChecked – This property gets or sets the value indicating the checked state of controls, etc. I would like to know if I can not only create PDF files with PDF Creator Pilot, but also specify Acroforms values with it. And also, can your library save those files as plain PDF files (with the specified fields)? Thanks in advance. I want to know if the software that creates an editable form and after the form is submitted e-mails it and generates a PDF form for printing is still available. PDF Creator Pilot can generate a PDF form that can be filled out. Our goal is to create a sophisticated report based on all kinds of data from a database, images, rich text. All that is put on a picture box with the help of VB 6.0. I need to create a PDF form with the help of ASP.NET in C#. There is some text and a JPEG image embedded in the form using dynamically generated data from an SQL database. What I want to know is whether I can use your PDF Creator Pilot library (in C#) to generate a form (Acroforms) with editable fields (e.g. a text box in ASP.NET) in a PDF file that the user can fill out in Adobe Acrobat Reader and then save as the same PDF file. Install PDF Creator Pilot to the target machine. Add PDF Creator Pilot to your .NET project. The user will be able open the PDF saved and editable fields. How to use PDF Creator Pilot on x64 systems with Microsoft Visual Studio. 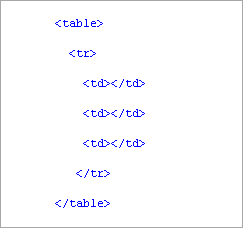 Is it possible to generate the table as well as the string in PDF? What do I do to generate the entire text and the table in the PDF format? Our goal is to create an application that adds information to PDF files and displays them on the screen after that. As far as I understand, your software can change PDF files, but can it print those files or just export the changed PDF files to web pages? Is it possible to display the results of the changes on the screen? What I am currently searching for is a Delphi VCL component (with its source code) that would make it possible to quickly merge PDF files. The faster it would do it, the better. We need a component that would add a name and date to a PDF file by means of not ASP.NET but just ASP. This PDF file does not have to be saved, just printed and displayed on the screen. Are there any products among your software that can add this kind of text to PDF files? I need your library to open a ready PDF file and add some links to it (both internal (to pages) and external). Can it do that? There is a certificate on my website that users can access. What I need is that they could enter their names into this certificate and print it for whatever they may need it. There is no requirement for keeping the track of who accesses and prints it, but it would be nice if they could resize the certificate (although it is not a requirement as well). Is there a program that I can use for that? Open the certificate PDF file (or create a new PDF and insert a scanned image). Add a text string with a user name to a specified location. Save the PDF and send it to a user. My question is if there is a way to split huge PDF files (with a lot of pages) into smaller ones with the help of PDF Creator Pilot. Suppose we need a 100-page PDF file to be converted into 50 2-page files – is it possible? Or maybe there is some workaround that would solve the problem? What we will need to do in the first place is open a PDF file, make some changes in it, copy and print restrictions, enable password protection and save the file. I cannot get it how to open and edit an existing PDF file. Does your library support this kind of operations? The features that I need in the library are as follows: opening and merging PDF files, creating and removing pages in PDF documents. Yes, PDF Creator Pilot supports both features. Reading and merging existing PDF documents – see the example code here and here. Adding and deleting a PDF document’s pages – see the example code here and here. Our aim is to get a PDF file that can be printed, but the text from which cannot be copied. Can your library do that and how can we do it?